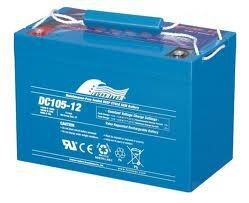 We Sell FULLRIVER Batteries at the lowest prices - we won't be beaten on price. 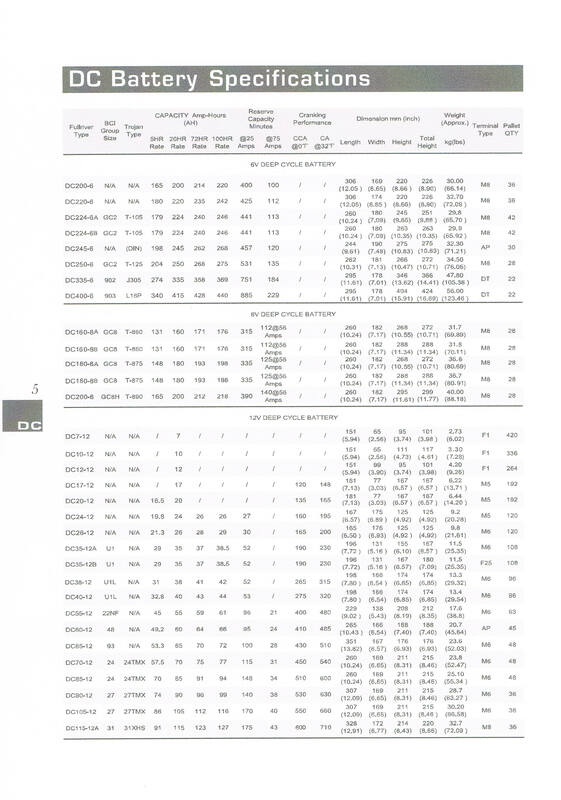 The FullRiver DC (Deep Cycle) Range is shown below. We also sell the FullRiver HC Range (Starting) & FullRiver HGL (Standby, UPS). Full River 105Ah 12V. 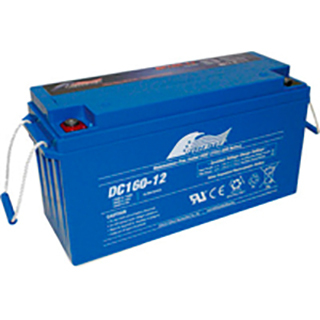 Well known, high quality and popular battery for Dual battery systems and use in Caravans and RV. 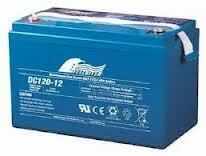 Full River 120Ah 12V. 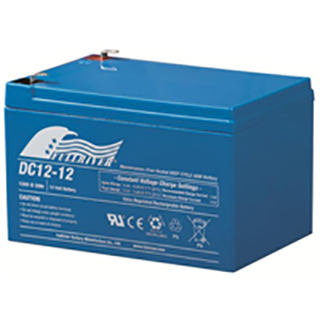 Well known, high quality and popular battery for Dual battery systems and use in Caravans and RV. 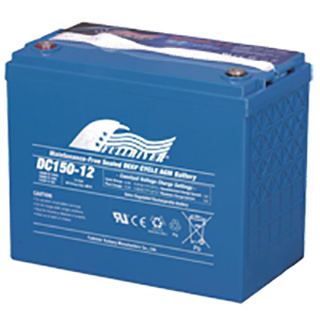 Full River 160Ah 12V Deep Cycle AGM Battery. (Now superceded by the 210Ah, see next in list). Over the last 10 years in Australia, since launching the Deep Cycle (DC) range, Full River have earned an excellent reputation for use in Caravans, 4WD, Marine and other recreational applications. High Density Active Paste Material - for greater capacity and a longer life-cycle. Thick, heavy-duty grids - allowing for deep cycling without plate distortion and good recovery. Lead-Calcium alloy grids - for strength and corrosion resistance. Tank formation and activation of the plates - for fully formed and voltage matched plates. AGM Design (Absorbed Glass Mat) and Starved Electrolyte construction which ensures that they are spill proof and maintenance free, allowing IATA Approval for Safe Air Transport. Pressure relief valves - in case of overcharging or fault conditions to safely release pressure. Fast Recharge times - useful for shorter drives or charging periods. 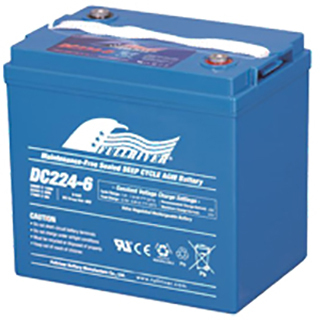 Far faster than standard wet lead acid batteries. Low self discharge - for longer shelf life and periods of inoperation. 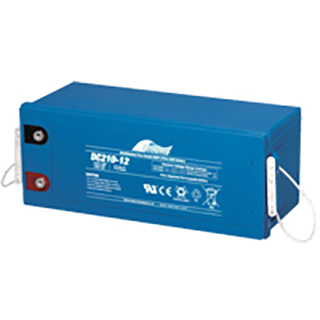 Both the Positive and Negative plates feature Lead-Tin-Calcium alloy construction, with the case and lid in ABS Plastic for shock and vibration resistance. The screw in terminals have brass inserts for low resistance / high conductivity, and can be fitted with a screw in standard SAE automotive terminal adaptor if required. 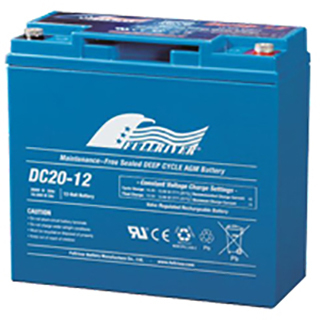 For more information on the FullRiver DC Range of AGM batteries please refer to this pdf file, or just call us on 1300 123 228. 72 Wellington Street, Launceston. (03) 6334 4170. © Copyright 2009 - 2017: Every Battery PTY LTD. All rights reserved. 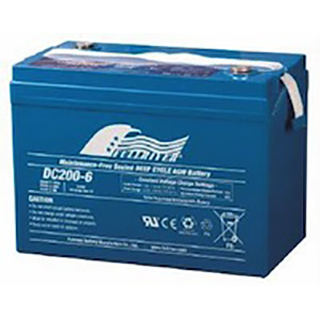 Trademarks and brand names on this site are the property of their respective owners and unless indicated are used solely to describe models for which a battery may be suitable.